Candalua added a comment to T219514: Variables old_wikitext and new_wikitext are blank in Page namespace. Is this issue related to T219371? Candalua added a comment to T206510: Update Special:IndexPages on sa.wikisource once a week. Candalua added a comment to T210752: Create Wikisource Neapolitan. 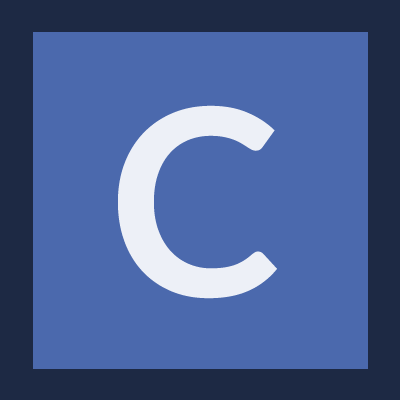 Candalua added a comment to T104566: Join hyphenated words across pages. @Midleading: as per discussion above, I have already opened a request to disable this functionality on zh.source: T205826. I don't understand why it has not been done yet. Candalua added a comment to T202595: mul.wikisource.org/wiki/* should redirect to the multi-lingual portal wikisource.org/wiki/*. The task summary says "mul.wikisource.org should redirect to the multi-lingual portal wikisource.org". I just went to https://mul.wikisource.org/ . I ended up being redirected to https://wikisource.org/wiki/Main_Page which is a multi-lingual portal. Candalua closed T205583: Add class to <pages /> tag output’s <div> as Resolved. @Tacsipacsi: the class is now available as prp-pages-output. Candalua added a watcher for ProofreadPage: Candalua. Candalua created T205826: Set wgProofreadPagePageJoiner on zh.wikisource. @Ankry, @Hesperian: sorry for having been rather bold. As of now, task discussion normally happens here on phabricator only: we should really improve this by communicating more often between communities, and warn them of upcoming changes (I have created this distribution list that can now be used to contact all Wikisources). Candalua claimed T205583: Add class to <pages /> tag output’s <div>. I'll do it as soon as I can. By looking at other css classes, I think a good, unambiguous name could be prp-pages-output. Candalua renamed T104566: Join hyphenated words across pages from add <hyphen/> tag to ProofreadPage so that <pages/> doesn't put a whitespace between pages to Join hyphenated words across pages. The change is now live, everybody please try and test it. I have updated the documentation at https://www.mediawiki.org/wiki/Help:Extension:ProofreadPage, and I plan of sending a mass message to all Scriptoriums in the next days. Then if no issues arise after some time I'll close this task. Candalua closed T179158: PagesWithoutScans not taking account of __DISAMBIG__ as Resolved. Closing at resolved, as it was a configuration issue related to br.source only, and it seems to have been solved. Candalua created T201241: Add option to remove the second page, in addition to the first. Candalua added a comment to T59198: Special:IndexPages: Add a sort by the number of page remaining to correct. Thanks, though not certain that we have it right. To note that what we seem to have achieved is to support the display of the number of pages to be moved from proofread -> validated, rather than the total number of pages remaining to be validated. Candalua closed T59198: Special:IndexPages: Add a sort by the number of page remaining to correct as Resolved. The change is live, it is now possible to sort by the number of pages that need to be validated. Candalua added a comment to T198470: page proofread status is not displayed in index page for some pages. Candalua updated the task description for T198470: page proofread status is not displayed in index page for some pages. Candalua renamed T194875: Set ProofreadPage page separator on zh.source from 4tcaaaaaaa to Set ProofreadPage page separator on zh.source. Candalua renamed T196740: Rename Wikimedia project tags in Phab (#Wikisource; #Wiktionary) to clarify that they are not about language specific instances? from bebaaaaaaa to Rename Wikimedia project tags in Phab (#Wikisource; #Wiktionary) to clarify that they are not about language specific instances?. Candalua claimed T59198: Special:IndexPages: Add a sort by the number of page remaining to correct. I uploaded a patch for the first point, "Add a sort by the number of page remaining to correct". Candalua closed T197033: ProofreadPage namespaces are wrong on pms.source as Resolved. Candalua closed T197033: ProofreadPage namespaces are wrong on pms.source, a subtask of T194879: Create Wikisource Piedmontese, as Resolved. Candalua added a comment to T179158: PagesWithoutScans not taking account of __DISAMBIG__. On vec.wikisource, which has a small number of pages, PagesWithoutScans correctly doesn't show disambiguation pages. So this seems to be more of a configuration problem. The special page tries to exclude disambig pages, first by looking into Mediawiki:Proofreadpage-disambiguationspage, which should contain the pagename of the disambiguation template (only one); if this is not found, it looks into Mediawiki:Disambiguationspage, which should contain a list of all disambiguation templates. On br.source, the first one points to a non-existing template, the second is empty. Can you try to set either one of these two messages and see if this solves the problem? Candalua added a comment to T197033: ProofreadPage namespaces are wrong on pms.source. Candalua closed T62767: Add support to <pagelist/> lists only verse OR obverse pages in a given interval as Resolved. Candalua updated the task description for T197033: ProofreadPage namespaces are wrong on pms.source. Candalua triaged T197033: ProofreadPage namespaces are wrong on pms.source as Normal priority. Candalua added a comment to T194879: Create Wikisource Piedmontese. Candalua added a comment to T180304: Uses P629 (edition of) to improve language links between Wikisources. Candalua closed T57340: Page status categories and description summaries should use separate Mediawiki messages as Resolved. Candalua added a comment to T15644: Add automatic line numbering capability to <poem> tag. What is the situation here? I see that a change has been submitted and modified several times (last edit on March this year), now why is it stalled? Candalua closed T73821: Recto/verso numbering through <pagelist/> as Resolved. which both should be merged as Anglo-American. And this cannot be made automatically without user's decission whether the hyphen is necessery in a particular case or not. Candalua added a comment to T62767: Add support to <pagelist/> lists only verse OR obverse pages in a given interval. It's a nice idea! However, the syntax 6to105=onlyodd won't allow to choose the numbering style or to assign a fixed value. Candalua closed T60729: Don't add space characters between transcluded pages in Chinese Wikisource as Resolved. This can be considered as resolved, can't it? Respective gerrit commit merged (and deployed, because respective train picked it up automatically), what are the actionables here? Only the individual communities? Can (and should) be handled in dedicated tasks IMHO. Candalua added a comment to T60729: Don't add space characters between transcluded pages in Chinese Wikisource. I opened a similar request T195873 on behalf of the Japanese community. Candalua created T195873: Set ProofreadPage page separator on ja.source. Candalua claimed T104566: Join hyphenated words across pages. I submitted a patch for a possible solution. After some research, I decided to go for the "regular hyphen solution", as it is the most intuitive for the users, and the least likely to create problems with parsers, Visual Editor, and everything (but I would appreciate some feedback about this). Please provide a path to the logo that should be used (SVG is preffered). There is no link in the task's description. I created a separate task for the site request related to zh.source: T194875. Candalua created T194875: Set ProofreadPage page separator on zh.source. Candalua added a comment to T39839: ProofreadPage extension configuration is cumbersome. Candalua removed a project from T62767: Add support to <pagelist/> lists only verse OR obverse pages in a given interval: Internet-Archive. Restricted Application added a project to T62767: Add support to <pagelist/> lists only verse OR obverse pages in a given interval: Internet-Archive. Candalua triaged T176196: Fatal error on action=edit for Index-namespace redirect: "EditIndexPage is only able to display a form for IndexContent" as Low priority. Candalua removed a project from T185414: Allow different versions of a template to be called/redirected based on namespace of the page they are called from: ProofreadPage. I'm removing the ProofreadPage tag, as this seems not related to the extension, but more like a general issue about how templates (and namespaces) work. Candalua added a member for ProofreadPage: Candalua. Candalua claimed T73821: Recto/verso numbering through <pagelist/>. To simplify the problem, I'll assume the first page in the range is always a recto. Ok, second try. This new patch uses a configuration variable rather than a system message, as suggested by Tpt. The project(s) which want to suppress the space between pages will have to set wgProofreadPagePageSeparator = "". By default the value will be &#32; as before. I'm not sure if using Wikisource is ok or not, as its task description says "Please do not report language specific tasks under this project"
Candalua merged T180184: Please disable spaces between pages for Chinese Wikisource(zh.wikisource.org) into T60729: Don't add space characters between transcluded pages in Chinese Wikisource. Candalua merged task T180184: Please disable spaces between pages for Chinese Wikisource(zh.wikisource.org) into T60729: Don't add space characters between transcluded pages in Chinese Wikisource. Seeing that this task was still stalled, I finally gathered the courage to prepare a patch myself, following wmr's and Sam Wilson's suggestions. I named the new system message MediaWiki:Proofreadpage page separator. Candalua added a comment to T106792: Enable "QrCode" extension on itwikisource. @Urbanecm: do you think there's any chance of getting QRLite instead? Candalua added a comment to T193350: Activation of flood flag on www.wikisource.org. Oh, it was not clear to me that your suggestion involved non-sysops too, now it makes more sense. Anyway, our need is just for sysop actions, like mass deletions (which happen periodically, every time that some new Wikisource subdomain is approved and content is migrated there and needs to be deleted). No, why should we complicate things? We have very few sysops and crats, and they're active in other projects as well, so we surely don't want the extra paperwork of posting requests and granting them. Candalua created T193350: Activation of flood flag on www.wikisource.org. Candalua added a project to T187760: Find replace tool broken into wikisource nsPage: Wikisource. Candalua added a comment to T178803: `qsub sync -y` jobs failing on Grid Engine with "range_list containes no elements" error. I tried WsExport with mobi format several times in the last weeks. Most of the time it gave a "Bad gateway" error, but in a few occasions it worked correctly. I don't know if this can help. Candalua added projects to T179790: Offer PDF export of entire wikisource proofread books: Wikisource, ProofreadPage. Candalua added a project to T102888: [Bug] Recent changes pages doesn't have anymore the interlingual wikilinks on the sidebar on some projects: MediaWiki-Recent-changes. Candalua added a comment to T172461: Special:RecentChanges no longer displays interwiki links on wikis that have added them to MediaWiki:Recentchangestext. I also noticed the same behaviour since today. Also T102888 (show interwikis from Wikidata on special pages) still has to be solved. Candalua added a comment to T102888: [Bug] Recent changes pages doesn't have anymore the interlingual wikilinks on the sidebar on some projects. Since today, even the hard-coded interwikis are not displayed anymore. I can see them on https://it.wikisource.org/wiki/MediaWiki:Recentchangestext, but not on https://it.wikisource.org/wiki/Special:Recentchanges. This behaviour has also been reported on T172461. Candalua added a comment to T54971: [Goal] Sitelinks and arbitrary accesses to Incubator, OldWikisource and BetaWikiversity. That doesn't work on Incubator because there would be multiple pages, and for the proper use of interwiki links it is also necessary to have it clear which language the page is in. That a given wiki only has one page about a given topic. This is not a GSoC task. There is also no clear plan of how to do this because it breaks a basic assumption of Wikibase. It's fairly complex unless one attempts to solve it from the client wiki. Candalua added a comment to T114318: Sometimes the anchor links generated by an Index: page's <pagelist /> do not have the expected class attribute and value set. This should work fine now. Could someone confirm? Candalua added a project to T104566: Join hyphenated words across pages: Developer-Wishlist (2017). Candalua added a project to T74815: [Task] Add Lua function to get Wikibase entity by site link (title): Developer-Wishlist (2017). Candalua added a project to T128173: Represent editions as interwiki links on Wikisource: Developer-Wishlist (2017). Candalua updated the task description for T51023: in Page namespace, provide link(s) to ns0 page(s) which transclude the current Page:. Candalua triaged T104566: Join hyphenated words across pages as Low priority. Candalua added a comment to T145365: Zoom and image move commands not loading properly: "Uncaught Error: cannot call methods on prpZoom prior to initialization". Candalua reopened T145365: Zoom and image move commands not loading properly: "Uncaught Error: cannot call methods on prpZoom prior to initialization" as "Open". While now the zoom buttons always work for me (thank you @Tpt! ), I noticed that sometimes it is still not possible to move the image. When this happens, clicking on one of the zoom buttons makes the image moveable again. Candalua added a comment to T145923: Need to reduce nsPage body edit box height in horizontal view. @Samwilson Since 2 days ago, when switching to the horizontal layout, the image becomes extremely big. Is it related to this change? Tested on it.ws and en.ws, same behaviour. It looks like $(window).load() for some reason is not firing. I am not sure how to fix it though. Candalua created T145365: Zoom and image move commands not loading properly: "Uncaught Error: cannot call methods on prpZoom prior to initialization". Candalua added a comment to T138332: interwiki links to/from Multilingual Wikisource. The limitation of linking to one page per wiki will be overcome when T128173 will one day be implemented. In the meantime can you please proceed to give Wikidata access to wikisource.org? Are there other technical reasons for not doing it? It is a blocking issue in so far that an item can only link to one page on a given wiki. If several languages are covered on one wiki then we also usually have the case that we have two pages for one concept on that wiki that would both need to be linked in the same item. This is a know issue and is handled in T54971. Problem is that https://wikisource.org is a multilingual version of Wikisource and can't be handled easily in the current code. See also https://www.wikidata.org/wiki/Wikidata:Wikisource/Development. I think @Lydia_Pintscher could tell more about this. Candalua added a comment to T56902: Deprecate and remove the purge action from MediaWiki. In addition to what Billinghurst reported about Wikisource, page transclusion is also a major cause for the need of purging: very often, when a transcluded page is modified, the transcluding page remains outdated even for several minutes, and we have to purge it to refresh it. Developers: will this task get easier if T64717 is implemented? Candalua added a comment to T108134: Parse bare attributes according to the html5 spec. So now some THOUSANDS of pages on it.wikisource and elsewhere are BROKEN, thanks to this change. And nobody even cared to tell us in advance. Great. Candalua added a comment to T128712: first page is not transcluded if fromsection is present but empty. Yes, but while the change in itself is correct, it has broken all the pages using the old syntax! So either this change is reverted, or a bot should be run on all subdomains to change all pages to the new syntax. Candalua created T128712: first page is not transcluded if fromsection is present but empty. Candalua added a comment to T64717: Move oldwikisource on www.wikisource.org to mul.wikisource.org. Candalua updated the task description for T74126: [Story] Monolingual text does not accept sr-cyrl and a number of other language codes. Candalua awarded T110043: [Bug] When typing fast an old parsed value is saved a The World Burns token. Sjoerddebruin awarded T110043: [Bug] When typing fast an old parsed value is saved a The World Burns token. Restricted Application updated subscribers of T48580: Create a VisualEditor plugin to integrate with ProofreadPage.